With advice from a professional race car driver. For some people, the process of purchasing a new vehicle is simple. Head to local dealership of choice, point to car, sign on dotted line and drive away. These people are very few and far between. Trust us. We know. For the vast majority of shoppers, that “drive away” moment comes after months of research done both online and in person, and careful consideration. And while there are many ways to approach the online portion of your due diligence, there are a few things everyone should do during a test drive. 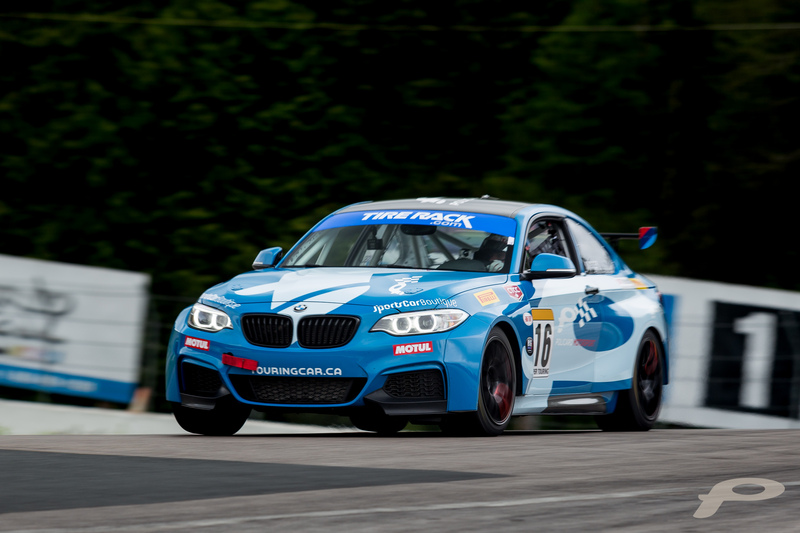 We had Jeff Kingsley, Policaro BMW Motorsport driver in the Canadian Touring Car Championship series, give us some tips on how to safely and effectively test the limitations of any new vehicle you’re considering. Here’s how to test drive a new car, BMW or otherwise. Jeffrey, what do you do when you’re checking out a car for the first time? Getting ready to drive a new car is always an exciting experience for any individual. For me, it basically feels like Christmas. First thing: do a walk around. Take visual notes, understand what you’re driving, learn about the car. I always like to go on the Internet and search for videos about the vehicle to further my knowledge and understanding. Next, you’ll want to sit inside the car. This is one of the best parts as things become more surreal and excitement climbs. Adjust the seat to your comfort and start inspecting every little aspect in the interior. Get a feel for what the buttons, knobs, or levers do in the vehicle, and if you don’t know, ask. I’ve seen customers come to pick up their car from Policaro BMW and they’re amazed by all the features they didn’t know came with it. Ironically, they learn this after the purchase as they are so caught up in the moment and don’t retain all the info—try to retain as much as you can. The more you know about the vehicle before buying it, the better the experience will be. Finally, start the car and, in park, give it a rev. You will feel the vibrations of the motor through your seat and it will bring a sense of comfort and readiness to yourself. Now you’re ready to drive. Where do you adjust your seat to? How about mirrors? One should never drive a vehicle without feeling comfortable in the car, so it’s essential that a few tasks are performed. Pull the seat forward so that your right foot can reach the gas pedal and the brake pedal, while your left foot can reach the brake pedal and the foot rest. You should be able to press both pedals as far as they can go and also be able to release both pedals without hitting a knee on the steering wheel. Tilt the seat closer to upright to better improve vision and reaction speed. Next, position the steering wheel towards your chest. Don’t straighten your arms all the way as you’ll struggle to turn the wheel more than 90 degrees. Fact: A closer steering wheel directly correlates with quicker steering reactions while also improving your range of motion when steering the car. Finally, adjust your mirrors. Visibility is arguably the most important thing when driving any car. The centre rearview mirror should display the centre of the rear window. Having it show the bottom half or the upper half only, blocks crucial vision for any driver. The side rearview mirrors should encompass a quarter of your own vehicle with three quarters of the road. Having a bit of the car in your mirror will better show what’s in the lane behind you, whereas the rest of the mirror will show objects in other lanes. And never drive a car if you’re not comfortable in it. Similar to a racer, comfort is both about effective driving and safety. How do you safely and best test acceleration and hard braking? Two major tasks to perform while driving a vehicle are accelerating and braking. If you’re looking to purchase a BMW, I can already assure you that you are getting the best of both. These cars a built to preform and Policaro BMW does an excellent job to ensure their cars are in impeccable condition, whether pre-owned or new. When driving the vehicle for the first time, never just step on the throttle and pretend you’re on the race track. You’re new to the car and don’t know what it is capable of. How your car at home reacts to acceleration may not be the same as the one you’re testing. Always start with smooth and easy acceleration. Then, slowly work your way up to a more aggressive throttle application. Test acceleration at both slow speed (stop light) and high speed (merging onto another road). Braking is another important aspect in a car. Once again, start smooth and work your way into it. The brakes may feel different from your current car and could be touchy. When you feel more comfortable, test the aggressiveness of the brakes in case you are forced to use it for safety situations. Never drive a car if you’re not comfortable in it. Similar to a racer, comfort is both about effective driving and safety. Go to a location where there are no cars around. Approach speeds of 50 km/h to 80km/h and aggressively apply the brakes. See how the car reacts, if it stops quickly and if it brakes in a straight line. I can tell you after driving a BMW M235iR race car that you are in very good hands when it comes to braking. BMW has put a lot of time and money into developing their braking systems for both on and off the race track. Just remember, when on a test drive you are not on a race track…bring yourself and the car home safely. If there are paddle shifters or a manual, how do you test the transmission? After driving many different cars throughout my career, I am repeatedly amazed by how advanced the BMW transmissions are compared to other manufacturers. They are easy to drive, smooth and create outstanding performance. In an automatic or paddle shift car, you can feel how smooth the transition between gears is. BMW’s paddle shift transmission is very precise and is almost always identical to what I have in my high-performance race car. You don’t want to feel a major jerk in the car, but you should expect some sort of movement. In a manual, you can feel how easy it is to find gears and release the clutch. It takes some time to get comfortable with a new transmission, so it’s important to drive with ease until you have learned the system. In racing, there is something called ‘seat time,’ where the longer you are in the seat driving the car, the more comfortable you become with the vehicle. The same aspect applies when using the new transmission; the more time you have driving it, the more comfortable you’ll be. Any other exercises you can think of to help get a sense for a vehicle? How do those go? The number one and most important way to get a sense of a vehicle is by doing your own research. You cannot rely solely on a salesman to give you all the information at once for two reasons. 1) The product advisor does not want to bombard you with an abundant amount of information, 2) you will not retain majority of the information a product advisor will give you. Knowing your stuff before looking at a car will allow you to gain a more in-depth knowledge of the vehicle as you already know the basis of the BMW systems/features. For example, do you actually know what BMW xDrive actually means or what it actually does? Little things make a big difference in your car shopping experience. Another trick I use is watching onboard videos on YouTube. Seeing how others drive the car you’re looking at will prepare you for your test drive and help compare your experiences with others. You will notice similarities when you go ahead and drive the car yourself. Follow the action and Jeff’s next race on our Facebook, Instagram and/or Twitter.